Nirmaan Vidya HelpLine in partnership with K N Meenakshi, K V Natarajan Trust are going to organize Goal Setting and Career counseling workshops to about 800 students for the first time in TamilNadu. Goal setting and Career counseling workshop is one of the key projects of Nirmaan Vidya HelpLine program, focusing on providing career guidance to the underprivileged students from Government schools. This is a face to face counseling wherein the trainers directly reach out to the students and inspire them to aspire for greater heights in life there by making them DREAM BIG. A huge spectrum of opportunities is then laid before them to choose. The purpose of conducting goal setting and career counseling workshop is to ensure that each and every child from 10th Class sets himself/herself a goal not out of ignorance or need but out of interest and conscience. Conducted 2,053 workshops, reaching to 1,31,139+ students as on June 2017.  Students to know about their natural personality / interest type which helps in choosing most appropriate career choice. 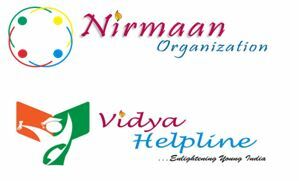 Nirmaan Organization is a registered NGO started by the students of BITS Pilani in 2005 working in the areas of Education, Livelihoods and Social Leadership. From the past 12 years Nirmaan than 2,08,000+ direct beneficiaries, 5,00,000+ Indirect Beneficiaries, with 100+ passionate full time employees and 700+ strong volunteer network, with 250+ Lakhs, annually, worth of Social Impact through 5 Flagship Programs & Social innovations and 30+ projects targeting Children, Women, Youth and Farmers from diverse social backgrounds across 8 States of India supported by CSRs of several companies such as IBM, Google, Microsoft, Wells Fargo, OCL India Ltd etc., and Governments of Telangana, Andhra Pradesh and Assam.